The Original Endurant Turf Colorant is the authentically vibrant green grass organic pigment made with binders chosen specifically for excellent adherence to turfgrass. This ensures the color remains full and rich, providing a natural looking green that is consistent and long-lasting. Its visual appeal is unmatched by any other brand on the market. It is suitable for use over a wide range including, but not limited to: golf courses tees, greens and fairways, athletic parks, common areas and lawns. Endurant Premium is an eye-popping, lively green colorant bringing even the thickest lawns and taller grasses to life with a deep green ultra-concentration of the Original blend of organic pigments. This ensures the color remains full and rich, providing a natural looking green that is consistent and long-lasting. Endurant Turf Enhancer is a springtime green intended for use during the seasonal transition as the approaching dormancy conditions occur, providing a natural-looking green associated with actively growing healthy turf. Its visual appeal is unmatched by any other colorant, staying consistent with the superior colors, quality and value associated with the Endurant Turf Colorants line. Apply Endurant TE at a rate of 8-24 oz per acre. Increase or decrease rate to achieve desired color depth. Endurant PR offers the gorgeous dark green reminiscent of looking over the famous golf courses of Augusta, GA with a concentrated blend of organic pigments and binders for excellent adherence to turfgrass with a color made to match the deep saturated green of Perennial Rye. This ensures the color remains full and rich, providing a natural looking green that is consistent and long-lasting. Its visual appeal is unmatched by any other brand on the market. Endurant FW is the deepest green with a lush forest color that keeps all eyes on the fairway with a high concentrated blend of organic pigments and binders for excellent adherence to turf grass. This ensures the color remains full and rich, providing a natural looking green that is consistent and long-lasting. Its visual appeal is unmatched by any other brand on the market. It is suitable for use over a wide range including, but not limited to: golf courses tees, greens and fairways, athletic parks, common areas and lawns. Endurant Mulch Colorant is a liquid pigment, available in four colors, which instantly and inexpensively enhances a landscape’s appearance, refreshing existing faded installations with an unlimited range of shades. An additional benefit of the on-site coloring is the elimination of the significant up charges associated with purchasing colored mulches, which means this product will immediately begin paying for itself. A Natural Plant Nutrient for Organic, Veganic and Hydroponic GrowersCarbotein™ is an economical natural soil conditioner with superior plant growth promoting properties. 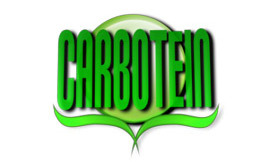 Carbotein is a mixture of organic vegetable extracts that can be used alone or added to other sources of nitrogen, phosphorus, and potassium. Carbotein nutritive components are present in the easy to use liquid solution, as well as, the high solid content of this natural fertilizer. Fertaflow is made from fresh fish carefully processed at low temperature to maintain the integrity of natural occurring amino acids, vitamins, hormones and enzymes. 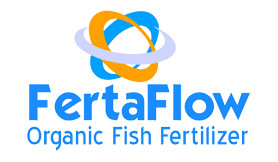 Fertaflow fish hydrolysate contain the natural oils and proteins of fish , which break down slowly becoming available to soil microbes over longer period of time than chemical fertilizers or fish emulsions.